Let face it, the hardest part about attending a trade show, may be getting permission in the first place! This year your company may be buckling down on marketing expenses and exhibitions may very well be on the chopping block. CMOs, CEOs and Managers are going to look at past successes in order to gauge the effectiveness of attending. Follow this guide and you should be able to put together a compelling argument to exhibit at any show. First things first, do your research! Download our helpful Trade Show Qualifications Check List and this should get the ball rolling in making your case to attend. Now that you've organized your case to exhibit and how much it will cost - brush up on the reasons to exhibit. We've taken the liberty of creating a concise list of the top 10 reasons to exhibit in order to help you remind your manager of the benefits. Prospecting. You'll have access to a refined group of prospects, remember the attendees are here to learn more about what your company specifically does. Before you exhibit try to identify key buyers who are otherwise unapproachable over the phone or thru traditional forms of prospecting. If you supply goods and services that other exhibitors use in their daily businesses "prospects" may also apply to other exhibitors. Qualified Leads. Over the course of the show you'll generate viable Leads to follow up with. These are contacts that you have personally met and spoken with. There's no easier way to get around the gatekeeper when calling upon them again than saying "yes, they are expecting my call". Meet with Existing Customers. The old saying goes "Kill two birds with one stone". Why not make a weeks’ (heck a months’) worth of sales calls to existing customers in a short period of time by inviting them to attend. Better yet, schedule meetings with clients, by setting up a VIP section of your booth to make them feel extra special! Scope out the Competition. Get a clear picture of competitors’ marketing strategy. Compare pricing. Visit different suppliers, hear their presentations, and compare vendors’ points of view. Collect literature for later review. Market Research. Get a better perspective of the available market share. It beats hunting for people and spending a lot of time on the phone. Be sure to visit other exhibits to generate relationships, referrals, and get ideas for future exhibits. Try new offers out on hundreds of buyers and fine-tune pricing and product focus. Networking and Troubleshooting. Some of the advantages to being surrounded by other professionals in your industry is the opportunity to share, learn and connect. Who knows when that relationship will come in handy down the line? Reach out on Linkedin to help stay in touch during and after the show. Identify New Suppliers. Find new dealers, representatives and distributors. If you're looking for help, put a sign in your exhibit that says DEALERS OR AGENTS WANTED. Establish Industry positioning & Branding. This is your chance to announce to the industry that you’re a serious player. There may be the opportunity for media exposure. Product Launches. 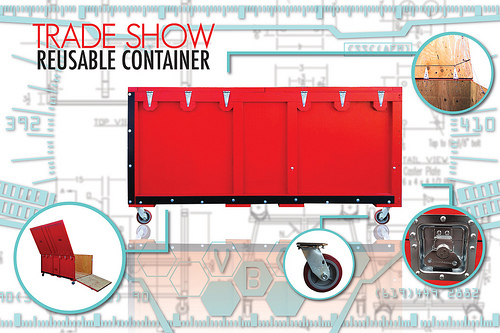 Introduce new products to the market at the show. Find New Employees. Have a job opening? Put a sign up in your exhibit NOW HIRING. WHo know you may attract potential new hires from your competitors. Step 4: Get your trade show booth ready! Do you even have a display? What condition is it in? Who do you need to work with within your company to get started on created a display? Here are some tips about the creation and execution of your booth to help you capture visitor’s attention. Always keep your audience in mind. Use Buyer Personas to gauge attendee response. Focus on "What's New".Tell attendees what’s new because 50% of all attendees want to see new products and services, not your same old song and dance. Have a high perceived value. Be given selectively, not taken. Be identified by company name. May be mailed one week after event. Theme. To help keep your message consistent it may behoove your company to develop a theme for signs, brochures, table colors, decorations, business cards, etc. This will not only help to keep your booth visually cohesive, but will look more professional. After all - if your company can't create a great show booth, then what's to make prospects think you can provide a decent product/service? Less is more. Keep the exhibit focused and not crowded with too many items. Arrange products and materials at different heights, rather just flat on tables. Make the display memorable. Any physical papers or brochures should be in clear plastic holders – not stacked flat on table. One idea is to reduce print collateral by using USB drives to distribute content! Graphics. Make graphics look like a billboard, NOT a messy office bulletin board. Make sure your company/product sign is shown prominently at highest possible point in your exhibit (signs on lower section of tables get hidden when people are in front of it). Education. Consider offering a semi-formal educational events to attendees. Think about your most frequently asked questions your company receives and present them in a low pressure educational style setting. Get professional help. If there are certain aspects of booth design that aren't your cup of tea, then consider hiring a professional. You'll probably outsource your printing and give-away needs, why not so the same for graphics, booth displays, and/or transport package for your booth to get to the show's location? Show Box Case Study today! Create deadlines and milestones. Reverse engineer your timeline, if the show is out of your state you need to make arrangements for your booth and supplies to be shipped well in advance. Practice setting up exhibit at home or in your office – then ask for evaluations from neighbors, business associates, sales persons, etc. Get all printing and signs prepared at least one week in advance. Take samples of products – not all you have. Get all your supplies together and consolidated: Decorated box or basket for contest/drawing, with sign describing prize, stapler, tape, signs, paper clips, pens/pencils, brochures & plastic holders, display items to draw potential clients to your table, business cards, writing pads for lead information, visual aids, tablecloth, easels and display stands. ALWAYS: Have exhibit set up and staffed by the opening time. ALWAYS: Memorize 1 or 2 effective messages (ie. ”17-second Business Commercials”) that spell out the benefits of your services or products. ALWAYS: Dress for maximum effectiveness in terms of colors, image, etc. ALWAYS: Stand to greet visitors, smile, engage them with questions to get responses, reach out to visitors, welcome to show. ALWAYS: Be a good listener, be confident, make a good first impression. DO NOT: Eat food in booth during exhibit time – arrange to do it away from table. DO NOT: Talk on cell phones to anyone – set cell phones to take messages and then if needed, make calls away from exhibit. DO NOT: Sit while talking with visitors – stand accompanied by a welcome smile. DO NOT: Fold arms defensively – use hands to refer to items in your booth. DO NOT: Let friends gossip or take your time away from business visitors – arrange to meet later. DO NOT: Pick up early and leave. Stick with scheduled time, unless absolute emergency with permission of organizer. Segment Materials. Go through all the materials you received at the show and group them by the product and services that your most interested in learning about. Register. If there is a supplier listing or portal, make sure you register and complete all documentation to be considered for future RFQ’s. Evaluate. Identify if the costs of attending; admission, hotels, travel, other expenses and your time. Did the amount of new knowledge and connections make your attendance worthwhile? Evaluate what went well, what didn't, and what could be improved for next time. Keep it real - don't suggest "better weather" for next year. Pay special attention to feedback regarding communication to prospective customers. The "lessons learned" will help improve your efforts for future shows. Add Prospects right away. Did you know 79% of all Exhibit leads generated are not followed-up! Add the business cards you collected to your CRM for further nurturing and tracking. Make notes about the contacts interests or any other information helpful for follow up. Label contacts source as the show name, so later when it leads to an order you can put a monetary value on success of attendance. Email within a Week. Send a personalized email within 3 days (up to 1 week) after the show. Ask open-end questions (not yes/no answers) type of business, needs and desires (importer, distributor, end user, etc.). Make sure to fulfill lead requests or promises and include a call to action (visit website, blog post, white paper download). If you decide to send a bulk non-personalized email, which is not ideal, be sure to us the bcc (blind carbon copy) field so that recipients are restricted to seeing their own email address. Call within 2 weeks. Pick up the phone and call contacts within 1-2 weeks. You may not call everyone you emailed but perhaps the people you made a special connection with. Send Mail within 1-2 weeks. That's right, snail mail! Within 1 to 2 weeks of the show send your physical marketing collateral (letter, brochure, thank you card, promotional items) along with a hand written note and your business card. Connect on LinkedIn. Connect with the new contacts via LinkedIn and endorse them, pay it forward! Join in the conversation, join groups that new contacts are in. If you haven't already, follow the shows LinkedIn group page. Referrals. Don’t be afraid to give referrals and to ask for referrals from your new found contacts. Keep in touch. Stay top of mind by scheduling to touch base quarterly. Plan future written follow-up, special offers, new products/services, etc. There is one crucial thing to remember, make sure you don’t lose the momentum. Impressions from the show may linger for a few days to a week but taper off quickly afterward, so you'll want to tap into the buzz while it's fresh. 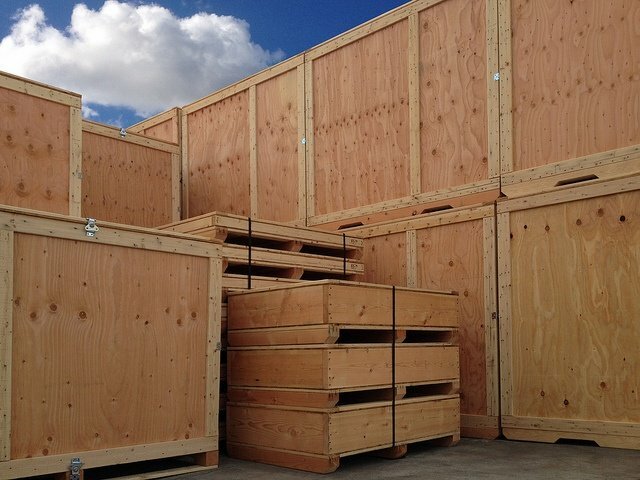 Valley Box is a San Diego based industrial packaging company. We create custom packaging solutions specifically designed to tackle the needs of displays.